He was born and educated in Thailand, served in the Royal Thai Army and is no longer a Singapore citizen. Yet Ekawit Tangtrakarn, 24, now faces a potential jail term of nine weeks for defaulting on his national service (NS) obligations. Ekawit, whose mother is Singaporean and father is Thai, pleaded guilty on Tuesday (28 August) to remaining outside Singapore without a valid exit permit, the typical charge for NS defaulters. The Thai national’s case follows closely on the revelation that Crazy Rich Asians author Kevin Kwan, who left Singapore at age 11, is “wanted” here for a similar offence. 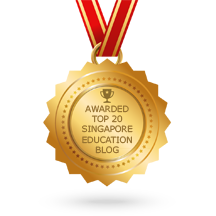 This entry was posted in Recommended Articles and tagged assignments, english tutor singapore, gp tuition, gp tutor wanted, gp tutors needed. Bookmark the permalink.